Do you know the difference between psoriasis and eczema? All types of skin conditions cause discomfort but it’s even more important to properly diagnose a skin condition so that you can treat it appropriately. Eczema or dermatitis is a group of skin conditions where the skin is dry, hot, itchy and scaly. In some severe outbreaks, the skin appears red, raw and bleeding. Eczema is thought to be the body’s reaction to allergies or environmental irritants and whose symptoms are worsened by hormonal fluctuations and stress. Psoriasis is marked by patches of reddish skin which come with a whitish silvery layer. The psoriasis mostly occurs in areas such as the knees, scalp, elbows and the lower back. Eczema occurs as a reaction of the body to its environment while psoriasis usually has a genetic link and is the response to certain factors within the body. Eczema has also been known to be triggered by certain types of foods. This means that patients can control the condition by staying away from these foods. While diet may also play a role in controlling psoriasis outbreaks, it can’t affect whether or not they occur. Psoriasis tends to show up when the patient is in adulthood while eczema is normally considered to be a childhood condition. However, eczema can continue well into the patient’s adulthood for some. They include small red patches that eventually expand to become scaly, red and silvery plaques, skin inflammation and itchiness, cracked skin that has blisters as well as restricted joint motion. About 10% of people with psoriasis go on to develop arthritis that is caused by psoriatic arthritis. It also causes emotional distress and a significant amount of discomfort. They include inflamed, itchy and red skin. The patients also have swollen and cracked skin blisters, scaling, blisters and rashes on the legs and arms, red crusty rash on the cheek and rashes near the joints especially inside the elbows and behind the knees. The itchiness is a main cause of discomfort and inhibits the patients from conducting their daily activities well. 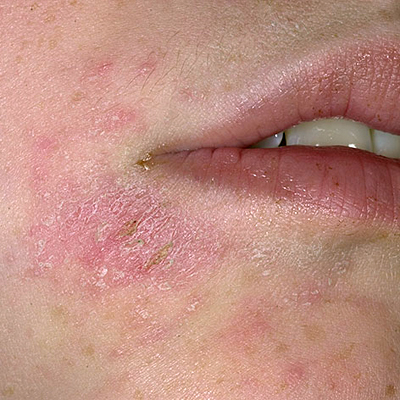 Other symptoms may include dark rings around the eyes (allergic shiners), hyperpigmented eyelids, leathery skin (lichenification), papules, scaly skin areas (ichthyosis), Dennie-Morgan fold (extra fold of skin under the eye), cheilitis (lip inflammation), hives (urticaria), small, rough bumps (keratosis pilaris) and hyperlinear palms (extra skin creases on the palms). The difference between psoriasis and eczema can also be found in this. In both eczema and psoriasis, the affected skin may have some similarities but they also do have distinct differences that set them apart. Eczema is dry skin that may appear to be like small blisters or raised spots. It also comes with excessive itching. In psoriasis, the skin is red, raised and rough which is also itchy. However, their main difference is that eczema is characterized by scaly flaking that may also cause the skin to bleed. 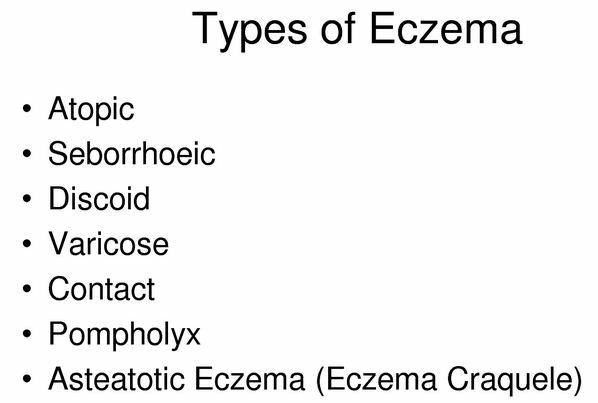 When looking at eczema vs psoriasis, you can also differentiate them according to type. The types of psoriasis include Guttate Psoriasis, Nail Psoriasis, Plaque Psoriasis, Erythrodermic Psoriasis, Pustular Psoriasis, Psoriatic Arthritis, Psoriasis of the Scalp and Inverse Psoriasis. The types of eczema include Irritant contact dermatitis, atopic dermatitis (eczema) which is the most common, vesicular eczema, allergic contact dermatitis, Eczema herpeticum, Discoid eczema, Adult seborrhoeic eczema and varicose eczema. Using antibiotics when the skin is damaged. Bacteria easily enter the body when it is damaged through scratching. 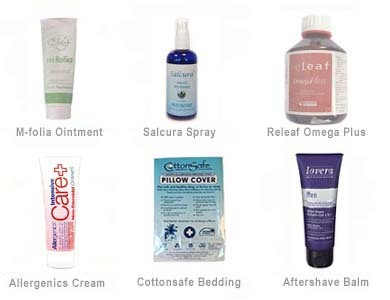 It is also spread via the same way and further infections only aggravate the eczema further. This is why an appropriate antibiotic should be given. Recent studies have shown that a food allergy may spark atopic dermatitis. For these patients, identifying the allergens may lead to an avoidance list to help minimize the symptoms. Dietary factors that have been reported to trigger eczema include coffee (both caffeinated and decaffeinated), dairy products, nuts, eggs, maize (sweet corn) and wheat and soybean products. Please note that these allergies may vary from person to person. Topical treatment includes ointments and medicated creams, moisturizers and bath solutions containing coal tar, retinoids, corticosteroids, dithranol (anthralin), Vitamin D3 (for instance, calcipotriol) are routinely used. Photochemotherapy where ultraviolet A phototherapy (PUVA) and psolaren combine the topical and oral administration of psolaren with skin exposure to UVA light. Phototherapy where UVB light is used several times a week to help people put their psoriasis in remission. Ultraviolet light treatments are frequently used with systemic treatment or retinoids or with topical treatments like calcipotriol or coal tar. This is because there is a synergy in their combination. Systemic treatment where cyclosporine, methotrexate and retinoids are used. As you can see there are plenty of differences between eczema and psoriasis and comparisons of eczema vs psoriasis. This is why the proper diagnosis for any of these conditions is important. Treating one condition as the other will only worsen an already dire condition especially when dealing with psoriasis. 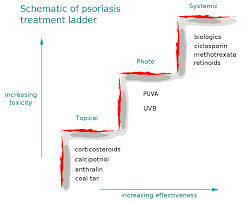 This is because it can elevate to chronic psoriasis which in some cases is life threatening if not treated well. The difference between eczema and psoriasis is sometimes not very clear but a qualified medical professional should be able to accurately identify what you are suffering from. Remember, the sooner you know what it is, the better as you can begin treatment early.